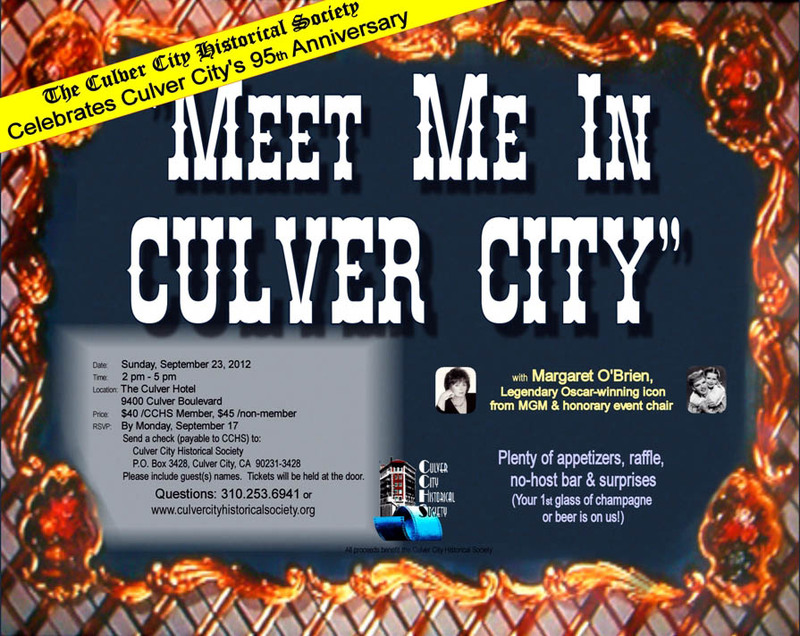 The Culver City Historical Society will present “Meet Me In Culver City,” a celebration to honor Culver City’s 95th anniversary, on Sunday, September 23, from 2:00 to 5:00 p.m. at the Historic Culver Hotel, 9400 Culver Boulevard, Culver City, 90232. Margaret O’Brien, legendary Oscar-winning icon from MGM, is serving as Honorary Chair of the event and will be honored with a commendation from the Culver City Council. O’Brien was the biggest child star throughout the 1940s and a number one box office attraction. 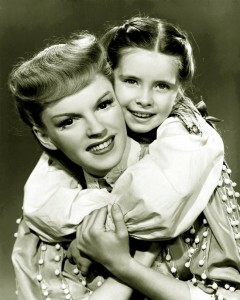 Her unforgettable performance as “Tootie” in Vincente Minnelli’s Meet Me in St. Louis (1944), with Judy Garland as her co-star, earned her an Academy Award and the position of the highest paid entertainer in the nation. Her movie credits include Babes on Broadway, Journey For Margaret, The Canterville Ghost, and Unfinished Dance. Her brilliant work in The Secret Garden and Little Women immortalized her in tear-filled audiences world-wide. Today, she continues to receive film and television offers. She has guest starred on Murder She Wrote and Tales from the Darkside. Festivities at the event will include abundant appetizers, one free glass of champagne or beer, a raffle, no host bar, historical theme games, and surprises. “Meet Me in Culver City” will celebrate Culver City’s history while raising awareness and funds for the Culver City Historical Society, which was founded in 1980 as a non-profit membership organization created for the purpose of collecting, preserving and exhibiting the history of the Culver City area and its cultural and civic accomplishments. The Culver City Historical Society’s Archives and Resource Center (ARC) supports the vision and goals of the society. All proceeds from this event will benefit the ARC and support its mission in the community. There is no admission charge for visitors to the ARC, located in the back of the Veterans Memorial Building at 4117 Overland Avenue, Culver City, 90230. The ARC is open on the first and third Saturday of each month from 1-3 p.m. or by appointment. The ARC exhibits historical photos and memorabilia, raises awareness of local history through educational programs, and is a free resource catering to researchers of historic photos and information at universities, in the film industry, and the public. 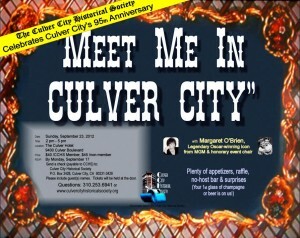 The public is invited to attend the “Meet Me in Culver City” event. Tickets are $40 per person for Historical Society members; $45 per person for non-members. Checks for reservations should be sent to the Culver City Historical Society, P.O. Box 3428, Culver City, CA, 90231-3428. Please include the names of the members of your party. Tickets will be held at the door. For additional information, call 310-253-6941 or email us.